Last month over at Le Challenge the theme was 'X'. I made a start on this, but failed to finish in time. I was lucky however that the fabrics I had chosen work well for this months challenge: Ink. 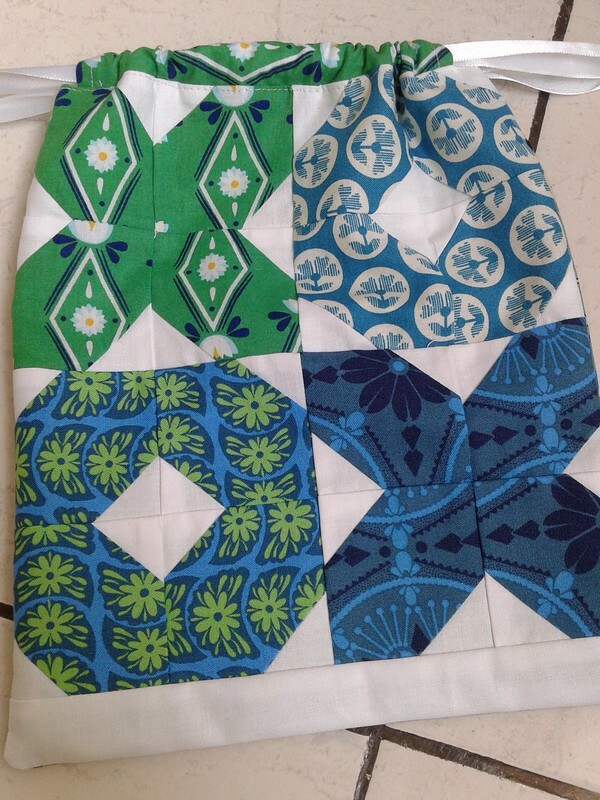 I used the great tutorial by Svetlana for this drawstring bag, and while I was at it I decided to turn two other orphan blocks that I had into bags as well. 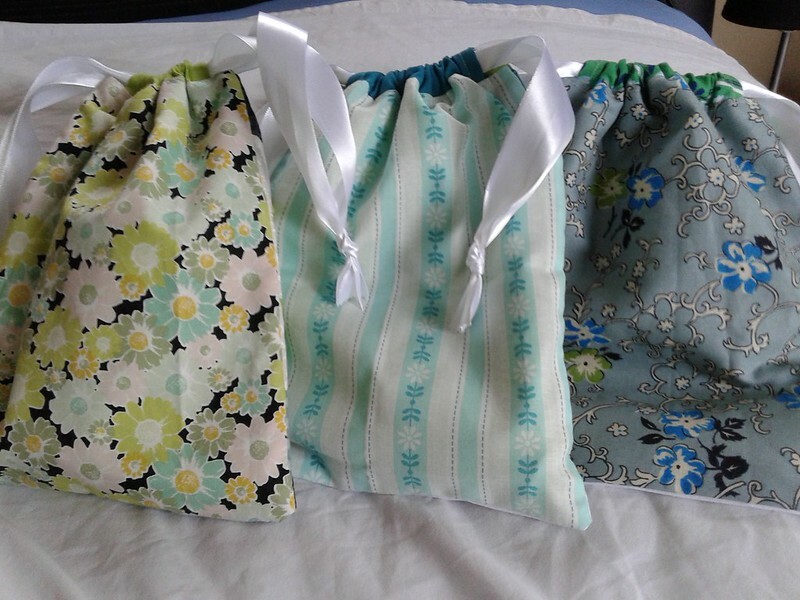 So three Christmas presents made, all from scraps, and already filled with little gifts for three gorgeous girls who we are visiting this weekend. 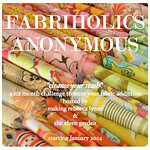 Linking up with Le Challenge and Scraptastic Tuesday. Lovely bags and I love making things from scraps too. the bag makes a great gift in itself. 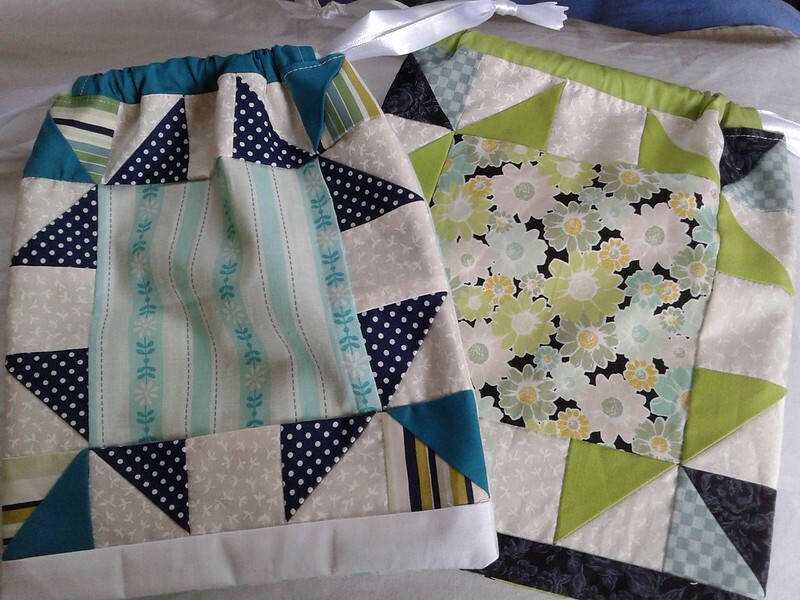 Love that you made those orphan block so useful and so pretty at the same time! its a great feeling when you make something out of nothing, forgot to add that to mine, it happened for me too this month. I really love making fabric gift bags with left over material from a project. These turned out great! These bags are sooo pretty!! I love the inky blues youve used with the other colours. drawstring bags are like zip pouches...you can never have too many! You have so many pretty prints in these bags! 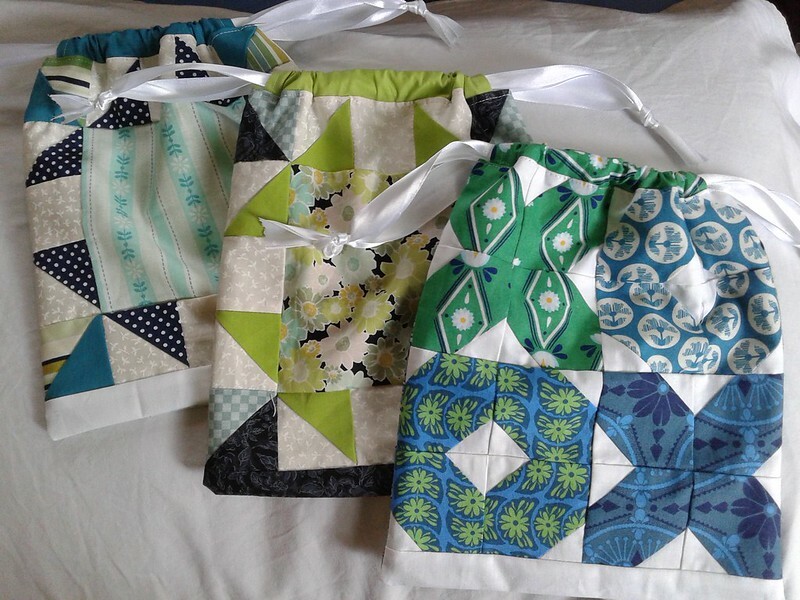 Lovely bags and perfect for orphan blocks!! Great bags! And love how you covered two themes! Thanks for sharing on le challenge! Super cute bags! And great use for those orphan blocks. Love these bags! Yours inspired me to make an "ink" pillow. Maybe I'll try le challenge next year.